It's been weeks of rain in Seattle and if it's not obvious, I'm desperately trying to transition into Spring. 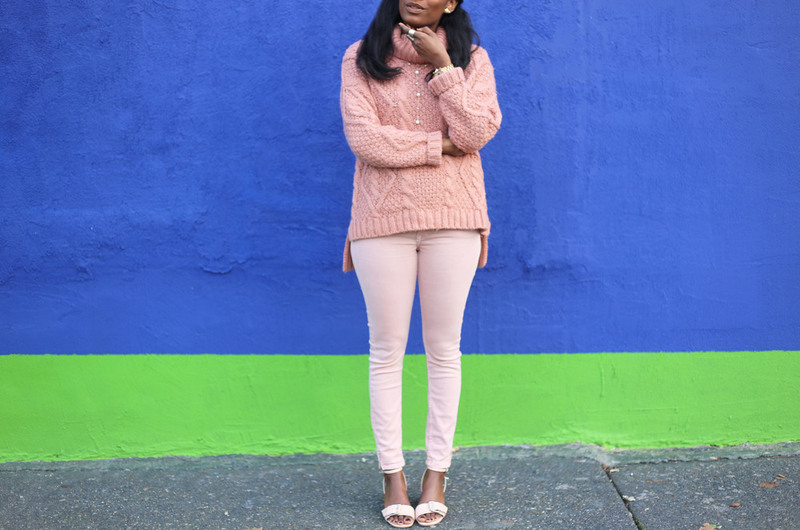 Loving all things blush nowadays and it's subtle enough to be worn head to toe. 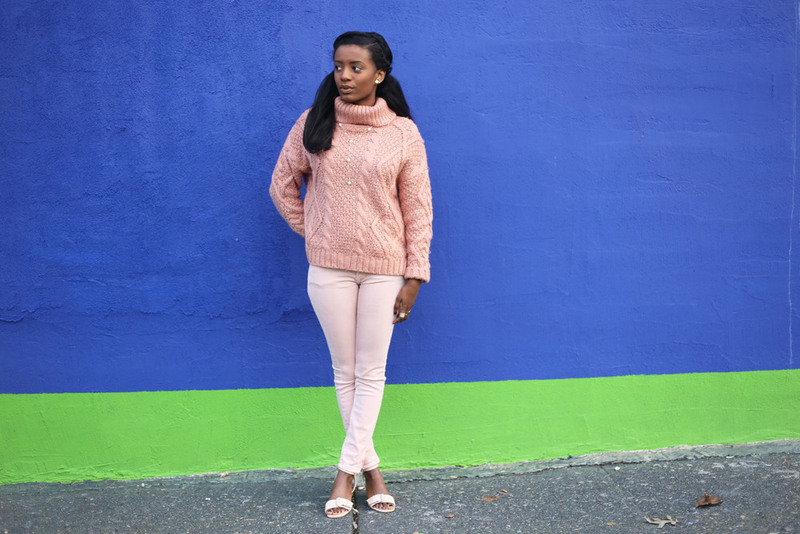 If you find the all blush thing a bit overwhelming, you can pair it with darker colors that are flattering on you. 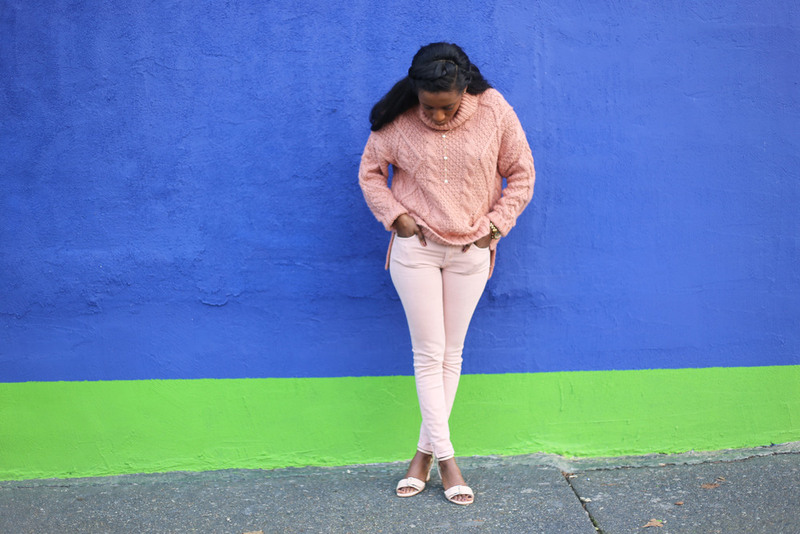 My favorite dark colors to pair with blush are dark denim, olive and navy. Another way to include blush into your wardrobe is through jewelry and accessories. It is a great color that can be used to mute or tone down some of your aggressive color combinations.